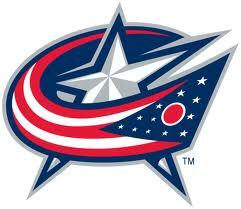 Is it hyperbole to say this is the most exciting weekend in the history of the Columbus Blue Jackets? Is it?! And so, in honor of this weekend’s hockey fever, let’s lace ‘em up and count down the top 5 hockey films! No, we did not throw this in just to avoid including Mighty Ducks or Youngblood, but man, were we happy to find just one more decent hockey movie. The film echoes the life of Montreal Canadiens great Maurice Richard in an elegantly filmed biopic on overcoming adversity to become an iconic sports figure and national hero. Sure, that sounds familiar, but this time it happens in Canada. Here’s a perfectly enjoyable, needlessly cluttered underdog tale where decent writing and generous performances outweigh trite themes. The alum of a tiny Alaskan town brings an NHL match home when the NY Rangers agree to play Mystery, Alaska’s hard-nosed local boys. Good-natured fun follows. We can’t get enough of this Canadian minor league hockey gem, written by Jay Baruchel and starring Sean William Scott, who plays against type as a sweet natured, dunderheaded hockey goon who can’t skate but sure can beat the crap out of people. What Caddyshack is to caddying, what The Bad News Bears is to little league – Slap Shot is best hockey movie ever. Paul Newman is hilariously salty in a story about a failing town soon to lose its minor league hockey team, and the player whose career is over if he can’t figure out how to save it. Does salvation wear thick glasses, travel in threes, and pack toy trains?